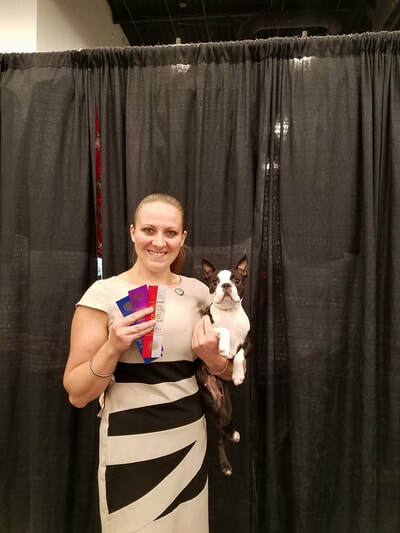 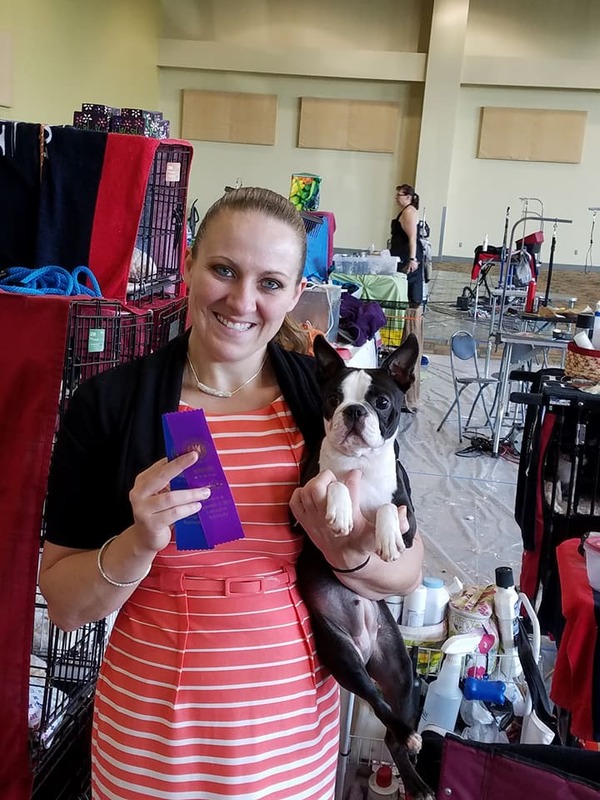 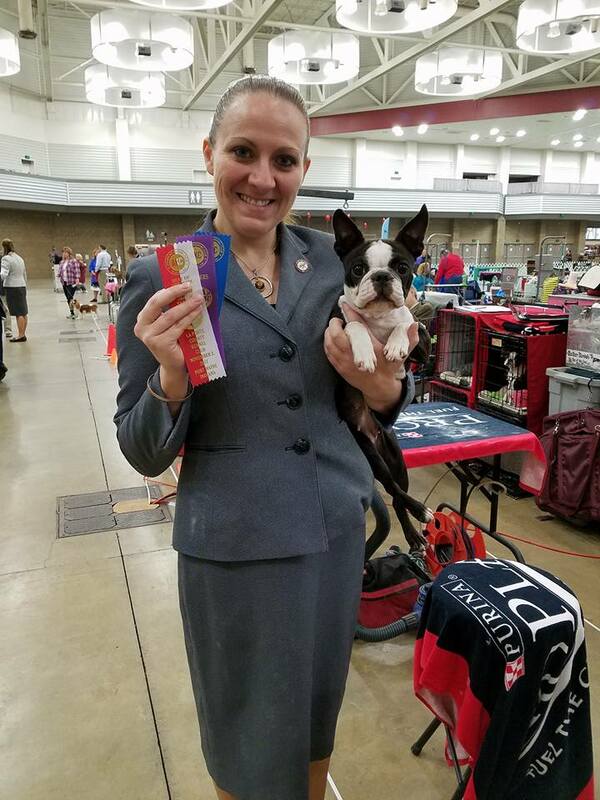 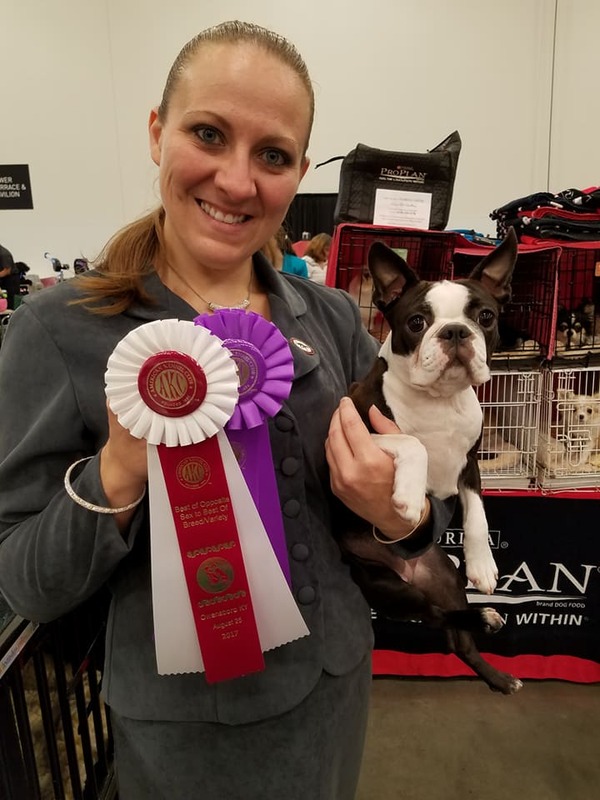 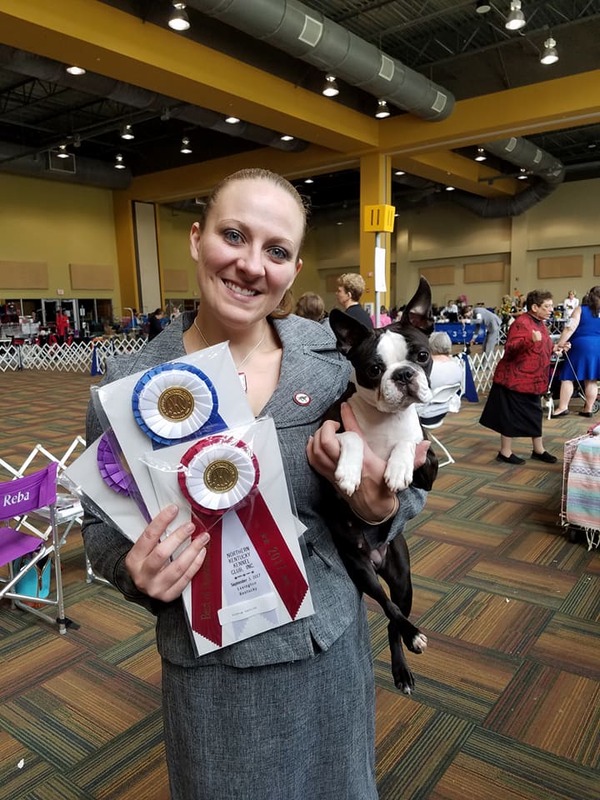 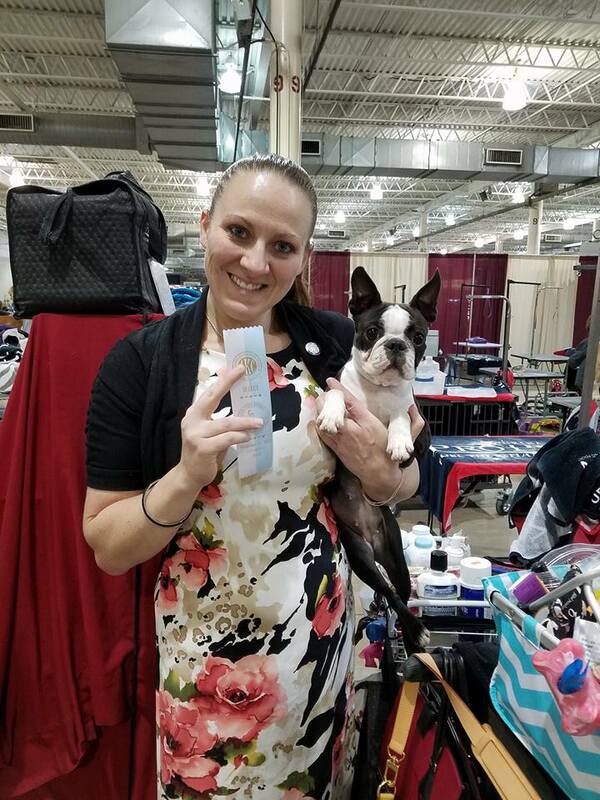 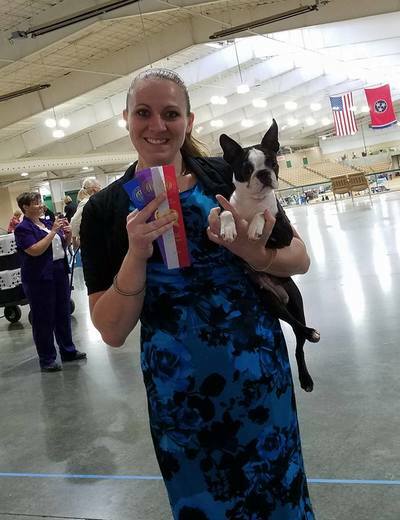 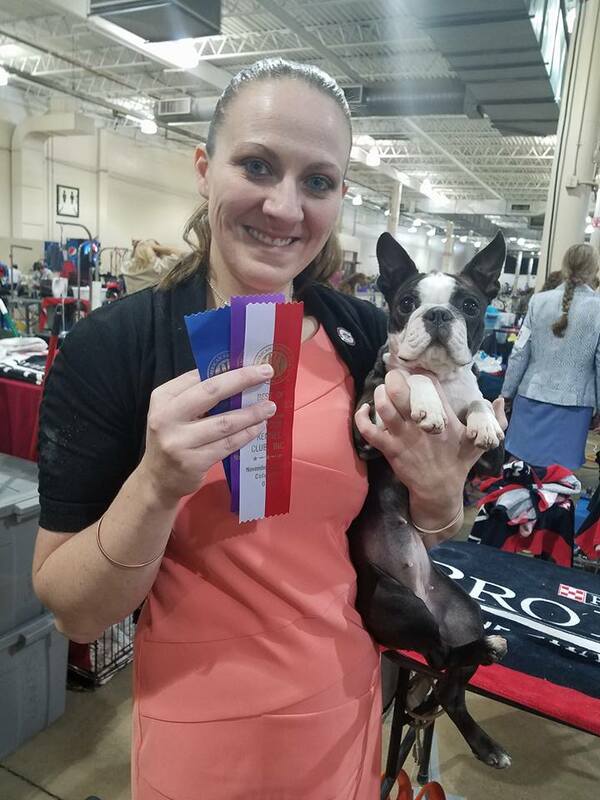 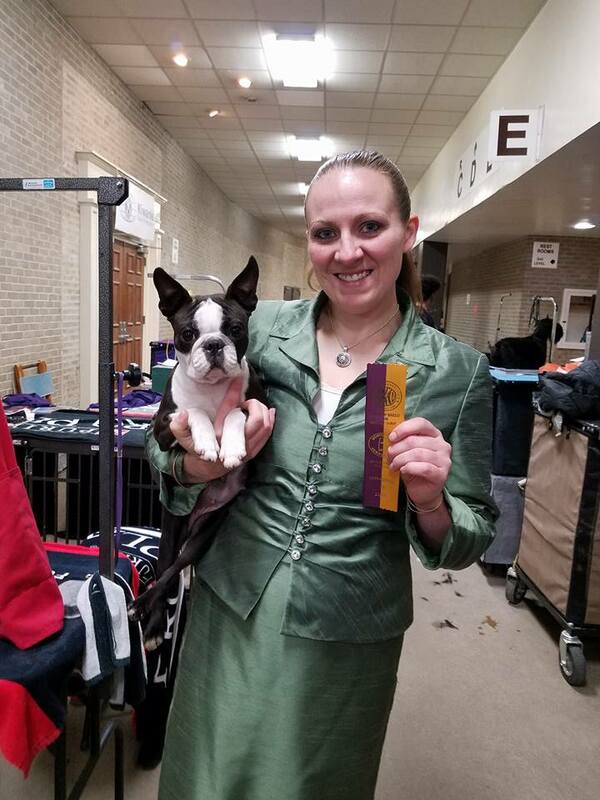 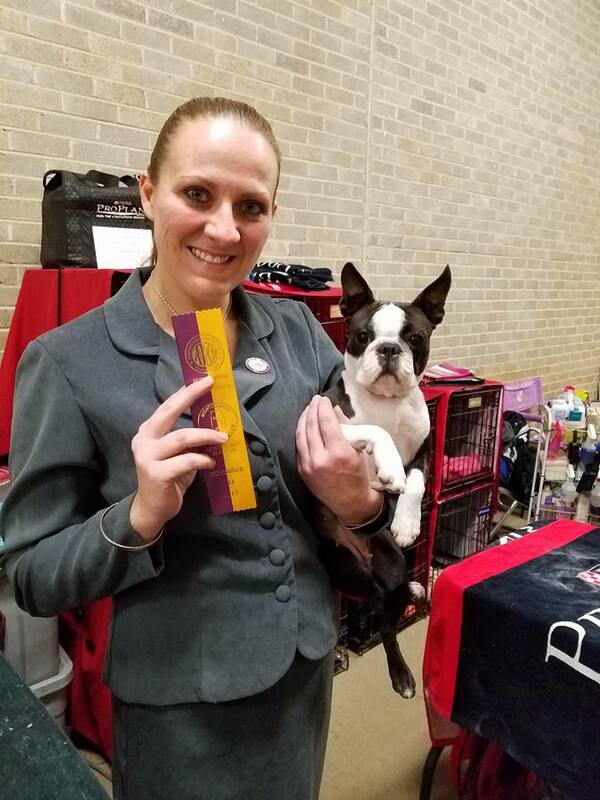 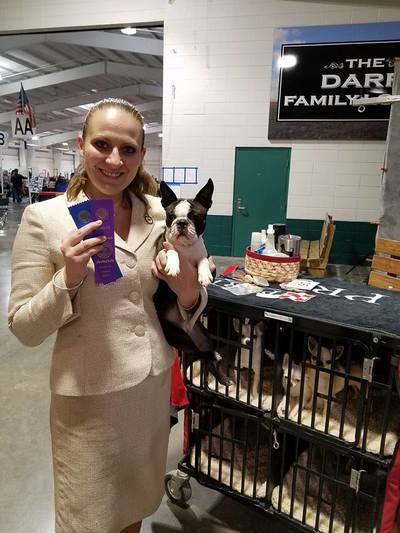 8/15-8/19/18 in Muncie, IN, Freha was WB on Wed, WB/BOS on Thur, WB/BOW/BOB on Fri to FINISH HER CHAMPION TITLE! 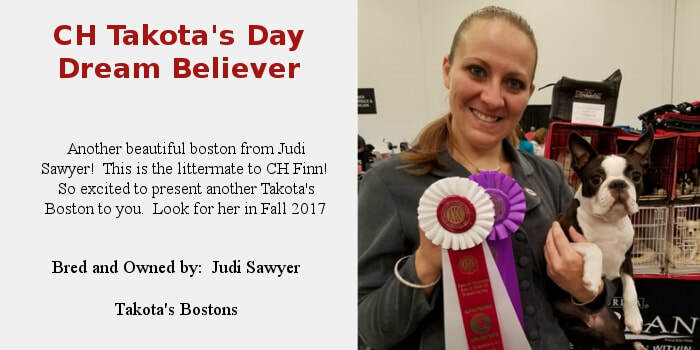 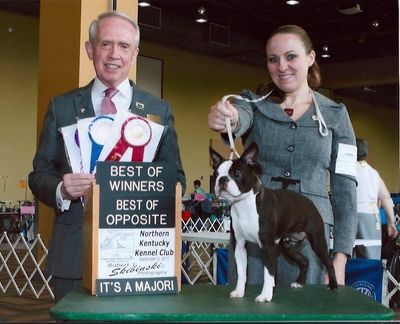 Congratulations to her Owner/Breeder Judi Sawyer! 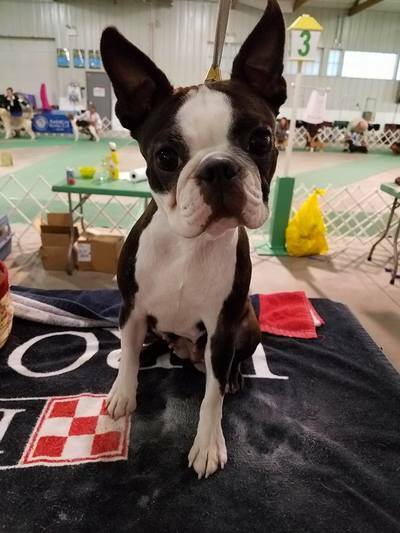 Thank you for allowing us to enjoy another Takota Boston! 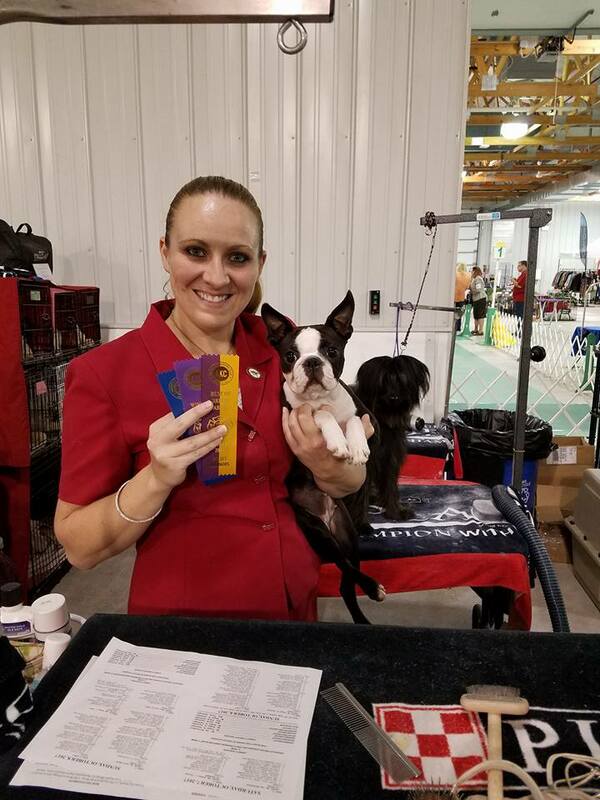 In Sprinfield, MO, No 9-12th, Freha Was WB on Thur for a 3pt major win! In Joliet, IL Oct 7 and 8th, Freha was WB/BOB both days! Oct 1st in Franklin, TN, Freha was WB/BOS over 2 specials! 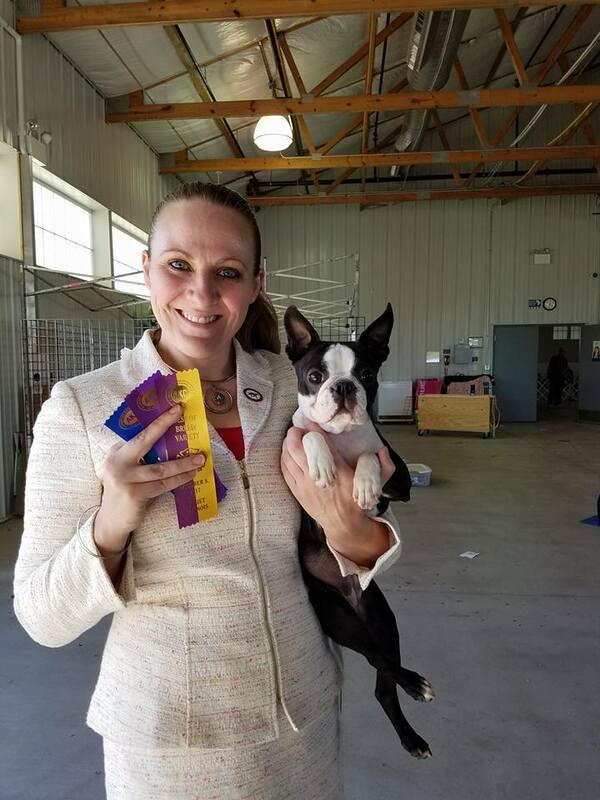 Aug 31st - Sept 4 in Lexington, KY, Freha was WB/BOW/BOS for a 4pt Major win on Sun, and WB for 2pts on Monday! 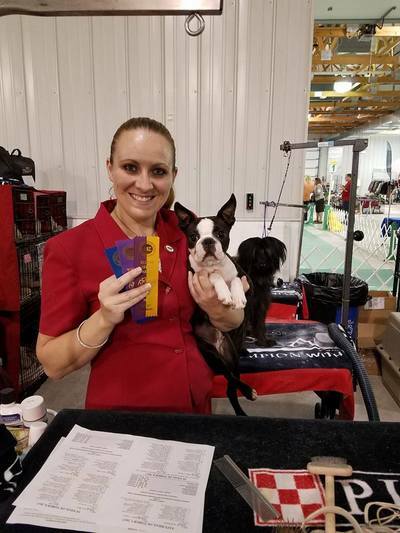 In Owensboro, KY Aug 24-27th 2017, Freha was WB/BOS on Thur both shows, Fri, and Sat, and WB/BOB on Sunday!